How does multilingual interaction help people with dementia maintain a sense of self? Last month we published Multilingual Interaction and Dementia edited by Charlotta Plejert, Camilla Lindholm and Robert W. Schrauf. In this post the editors reveal what inspired them to put the book together and discuss the under-researched subject of multilingualism and dementia. In the year 2011, we started a research programme at Linköping University in Sweden, called Dementia: Agency, Personhood and Everyday Life, the aim of which was to highlight, from interdisciplinary perspectives, a range of aspects of what it is like to receive a dementia diagnosis, and to live with the disease on a day-to-day basis. Within the programme, we ran a sub-project with linguists and anthropologists working on ethnocultural and linguistic diversity in relation to dementia; a project that rapidly grew from having played a rather minor role in the original planning, to becoming one of the more significant projects overall, during the six years that the programme lasted. In some respects, the project was a sign of its time, with massive migration to Europe and the North due to instabilities in the Middle East, but also due to earlier streams of migration, and multilingual populations growing old, requiring the provision of health care services within societies that had previously been rather ethnoculturally and linguistically homogeneous (like the Nordic countries). Surveying the field, we discovered that a fair amount of work on ethnicity, language and ageing had been conducted, but that work within linguistics on multilingualism and dementia, and particularly that which took an interest in social interaction in mundane settings, was very limited. This took us somewhat by surprise, considering the fact that multilingual and multicultural encounters in care and health care services in countries worldwide is a rule rather than an exception. Getting our acts together, Camilla, Bob (Robert), and I (Charlotta) therefore decided to collect contributions from the few scholars who already focused on this topic, eventually resulting in the volume Multilingual Interaction and Dementia. 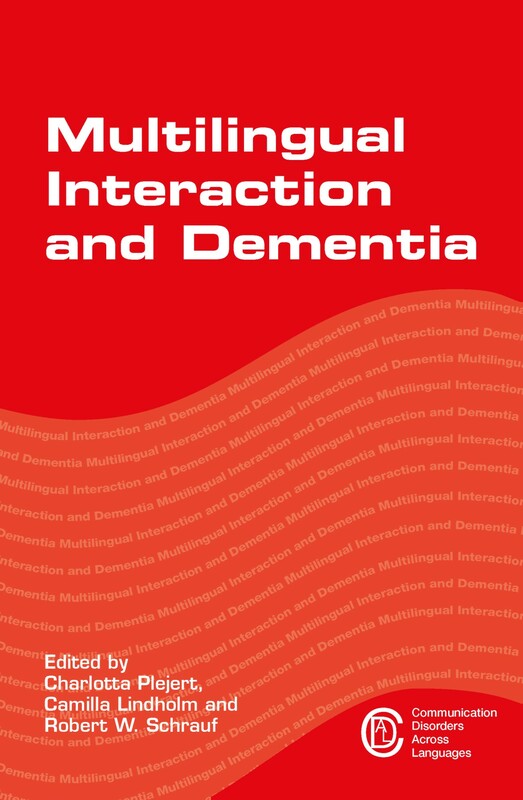 In contrast to what few studies there are on multilingualism and dementia, which primarily have contributed with important insights into neurocognitive aspects of the disease, the contributions to the volume all share a focus on the role of social interaction, and discourse processes involving multilingual people with dementia and significant others, for leading everyday life with as high a quality as possible, despite their condition. Many of the chapters depict life in residential care settings, in which not only residents may be of linguistically and ethnoculturally diverse backgrounds, but also staff, who may, or may not match in language and culture with residents. What is experienced is thus a highly dynamic setting, in which spoken language use, but even more significantly, bodily resources, play an important role for the ways in which residents and care providing staff manage to build rapport, and succeed in carrying out various tasks (like showering, feeding, but also amusements such as playing bingo, and the like). It is also demonstrated that the choice and use of different languages matter – and contribute to the achievement and maintenance of people’s identities and sense of self. Insights into multilingual and multicultural interaction in residential care, serve to inform care practices and can hopefully develop them further in terms of making them more linguistically and culturally sensitive. As is already known, culturally derived conceptualizations of a disease, such as dementia, affect help-seeking behaviours, and they also affect dementia evaluations and diagnostic processes. All of this, and more, is addressed in the book Multilingual Interaction and Dementia. For more information about this book, please see our website. If you found this interesting, you might also like the other books in our Communication Disorders Across Languages series. Should children with language disorders still be brought up multilingually? In January we published Multilingual Perspectives on Child Language Disorders edited by Janet L. Patterson and Barbara L. Rodríguez which explores the issues surrounding multilingual children with various language disorders. In this post, the editors explain how the book will be useful for speech-language pathologists as well as researchers in the field. What good timing! Two questions addressed in our edited volume, Multilingual Perspectives on Child Language Disorders, appeared on an American Speech-Language and Hearing Association discussion board in the same week the book was published. The first was from a speech-language pathologist (SLP) seeking research to share with parents who have been told NOT to speak Spanish (the home language) to their children and “stick to English” in order reduce the language processing demands on their children. The SLP was concerned that this misguided advice was being given to families of children with Down syndrome by personnel in more than one school district. Four days later another SLP asked for research and advice on counseling the parents of a 2-year-old girl who may have an autism spectrum disorder (ASD). The parents had planned to raise their daughter bilingually (Dutch and English), but they wondered if they should speak only English to their daughter in view of her significant communication delays. These questions are specifically addressed in chapters on bilingualism and Down syndrome (by Mandy Kay Raining-Bird) and bilingualism and ASD (Stefka Marinova-Todd and Pat Mirenda). We hope our book will prove to be a useful resource for SLPs and for researchers interested in cross-linguistic work in child language disorders. The chapter authors conduct research and provide services across the globe. 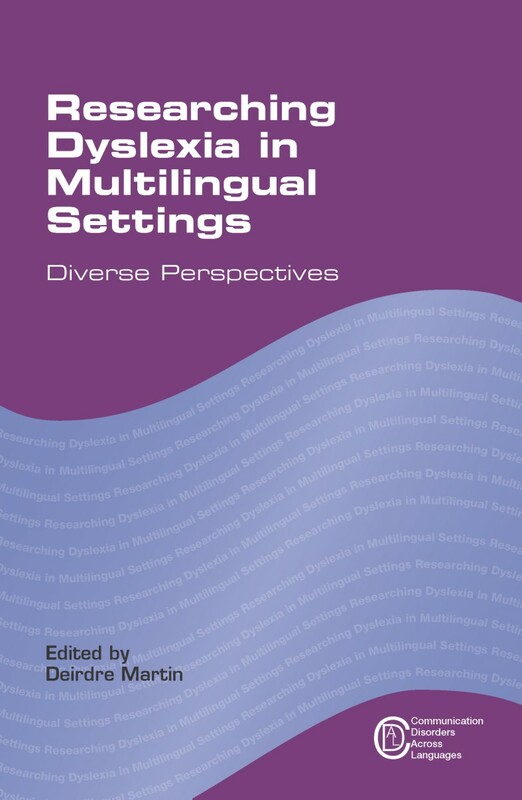 The book includes chapters on language disorders among bilingual and multilingual children with specific language impairment, as well as a variety of developmental disabilities, and monolingual children who speak languages other than English. Collaborating with the contributing authors has been a great experience. We have enjoyed learning about diverse topics including cross-linguistic research on Williams syndrome (Vesna Stojanovik), the challenges multilingual children with fetal alcohol spectrum disorders (FASD) face and evidence-based intervention approaches (John Thorne and Truman Coggins), manifestations of specific language impairment, dyslexia and ASD in Cantonese-speaking children (Carol To), and a framework for providing early intervention services to multilingual families with a focus on North Indian-speaking families in London (Jane Stokes and Nita Madhani), as well as chapters on assessment considerations and tools developed for use with children who speak French (Elin Thordardottir), Turkish (Seyhun Topbaş and Ïlknur Maviş), and Spanish (Barbara Rodríguez). We were struck by the common themes and patterns that emerged among authors who work with such different populations and typologically diverse languages. Many authors highlighted the need for assessment tools that focus on key structures for the language being tested and the need for assessment tools that are diagnostically accurate. Although the specific structures vary across languages, several authors are conducting research to address the global need for language-appropriate assessments. In addition, assessments for some children need to include complex discourse demands (FASD) and detailed examination of specific skills, such as certain areas of pragmatics, morphology, and use of intonation patterns (Williams syndrome). In the area of treatment, several authors highlighted the importance of adapting intervention to include culturally congruent practices. 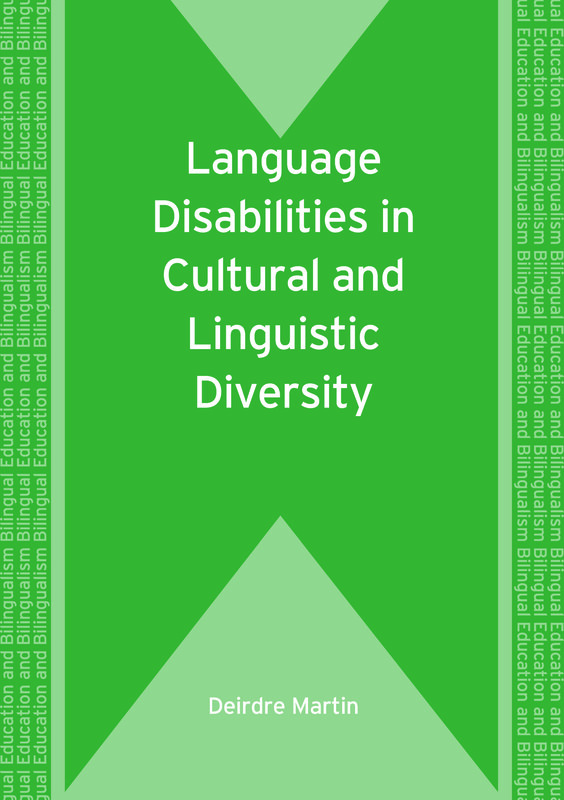 The value of cross-linguistic research for understanding the nature of language disorders associated with specific syndromes also was highlighted in several chapters. Although the chapters in Multilingual Perspectives on Child Language Disorders do not cover every language and every situation, we are confident the book provides researchers and clinicians with a broad-based perspective on child language disorders that supports evidence-based practice and stimulates further research. For further information on the book please see our website. 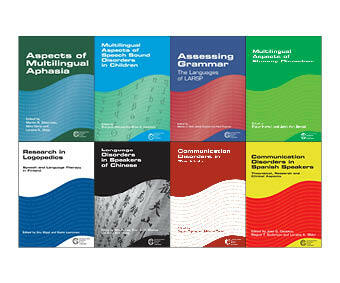 You might also be interested in other titles in our Communication Disorders Across Languages series such as Assessing Multilingual Children and Multilingual Aspects of Speech Sound Disorders in Children. This month we are publishing Assessing Multilingual Children edited by Sharon Armon-Lotem, Jan de Jong and Natalia Meir. In this post, Sharon tells us how the book came together. At the turn of the millennium, I was intrigued by an observation of a preschool supervisor who told me: “Bilingual children with Specific Language Impairment (SLI) are the worst.” I knew by then of the growing evidence for the advantages of bilingualism. I also realized that Speech and Language Therapists (SLTs) often recommend to parents of bilingual children with SLI to use just one language with the child, often the societal language. As I was looking for scientific evidence for the supervisor’s claim and for the SLTs’ recommendation, the research community around me thought that I was nuts. I was warned that studying SLI (a term used for children showing primary difficulty in acquiring language in the absence of other delays) was difficult. Studying bilingualism was even more of a challenge, as the population is heterogeneous. Why complicate life and study bilingual SLI (later termed BiSLI)? From the societal perspective, the identification of SLI in children growing up in bilingual contexts poses a major challenge for researchers, and has clear clinical and educational repercussions: How do we know if a child’s language difficulties are due to SLI or to insufficient exposure to the language being assessed? From the scientific perspective, the reported similarity calls for an explanation. What is it in the language development of these two populations that, at times, makes them look indistinguishable? Is there a theoretical or even empirical basis to what that supervisor said, and to the SLTs’ recommendations? I was not discouraged by the reactions, but it felt lonely. I knew there were a few researchers in Canada and the US who struggled with this problem and one research group in Scandinavia. This was not much. And then, in 2004, I received an email from Jan de Jong (my co-editor). He was planning a mini-workshop on BiSLI (the term was coined by the Amsterdam group). I was not alone in this endeavor for disentangling bilingualism and SLI anymore. Following that workshop, our group of researchers began meeting at conferences to continue the discussions over dinner or lunch and gradually grew into a small community. This was when the idea of applying for a COST Action emerged. We wanted to have our own meetings focused on the study of BiSLI. COST (Cooperation in Science & Technology see www.cost.eu) was the perfect framework for it. COST supports networking and cooperation among researchers across Europe. It helps bring together scholars to jointly develop new initiatives. A COST Action is such a network. We were fortunate to get one to study BiSLI. In 2009 COST Action IS0804 “Language Impairment in a Multilingual Society: Linguistics Patterns and the Road to Assessment” (www.bi-sli.org) started its meetings. Our community grew. We became friends bound by a joint quest. We wanted to have a better grasp of the source of the similarity and figure out how bilingualism impacts the manifestation of SLI. We aimed at providing SLTs with better diagnostic tools. The outcome of this quest, dubbed LITMUS– Language Impairment Testing in Multilingual Setting, is presented in this book. And if you ask yourselves whether the supervisor was right? No, she was wrong! Bilingual children with SLI are not the worst. Bilingual children are often misdiagnosed as having language impairment and treated for what is bilingual typical language development. In fact numerous studies repeatedly show that children with BiSLI are not different from monolingual children with SLI in their linguistic performance. This further implies that there is no need to stop a child with BiSLI from using one of her languages as there is no evidence that bilingualism aggravates the impairment. Following this book of tools, we further plan a book of findings to corroborate the above recommendations. Our Communication Disorders Across Languages series covers all aspects of speech and communication disorders focusing both on specific languages (such as Finnish, Spanish, Turkish, Chinese) and also on the multilingual aspects of voice disorders, aphasia and other speech sound disorders. 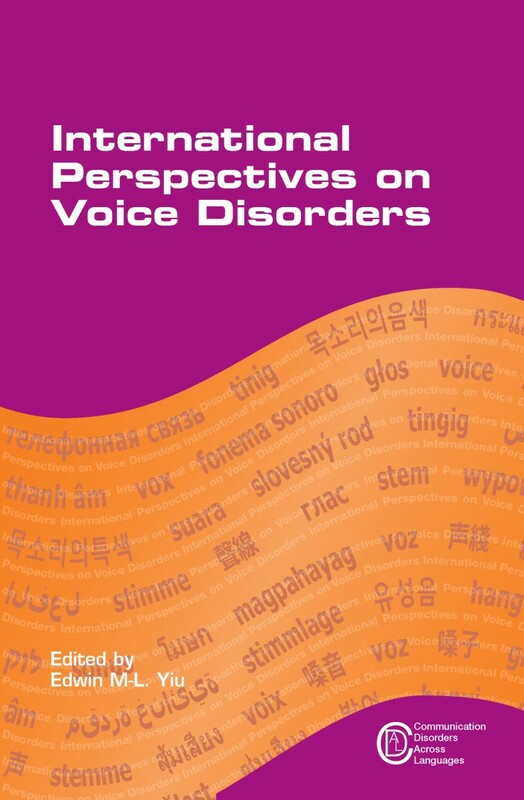 The latest book in this series, International Perspectives on Voice Disorders edited by Edwin M-L. Yiu, comes out this week and provides a state-of-the-art account of voice research and issues in clinical voice practice. This book is the first of its kind bringing together cutting-edge research and clinic-based practice. 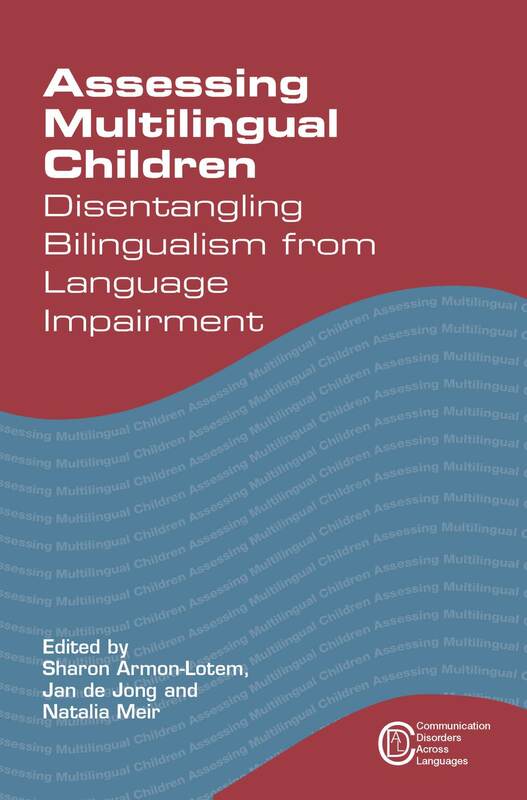 The series is edited by Nicole Müller and Martin Ball who are based at the University of Louisiana at Lafayette and are both experts in communication disorders and multilingualism and who assess each book as it comes in.